If you happen to own Xiaomi Mi 8 device running a Qualcomm processor chances are that your device supports Emergency Download Mode aka EDL Mode. EDL mode is a Qualcomm enabled feature, that is useful to unbrick device, unlock bootloader or modify protected device parameters. However, not all Qualcomm based device support it. If you are newbie user then probably EDL mode may be new word for you. But if you are involved in rooting and flashing firmware then absolutely not. In short, EDL mode is also known as emergency mode for mobile. Technically all the Huawei devices come with EDL mode option. If you want to install or update your own Huawei Y7 phone then you have many options to flash new stock ROM on the device using Recovery Mode or using fastboot mode. Both methods have some limitations like Recovery ROM can be used only to update higher version and you can’t downgrade Huawei version. Open back cover of dead Xiaomi Mi 8. [You may do Google to tear down Xiaomi Mi 8. 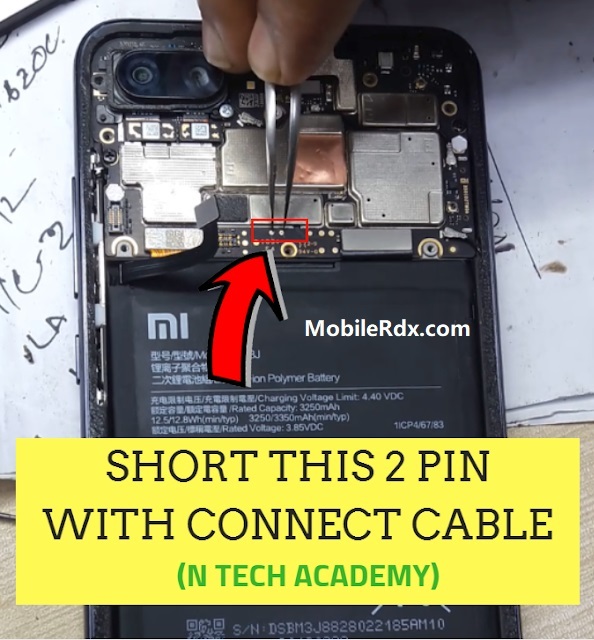 Once you are able to remove back cover, disconnect the batter connector first. Battery not required for EDL mode. Install stock ROM on Xiaomi Mi 8. Flash Xiaomi Mi 8 without unlockbootloader. Bootloader unlocking permission not required. Recovery dead Xiaomi Mi 8 by flashing firmware. Install stock ROM easily, if the device is not able to boot into fastboot mode or device stuck on Huawei Logo.